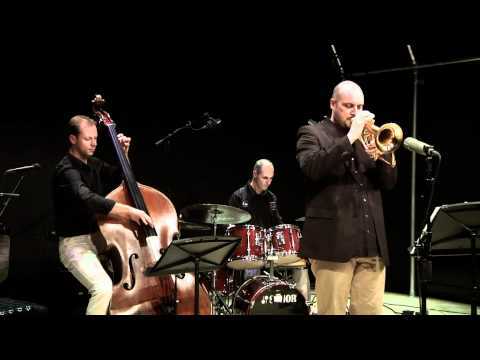 Jasper Somsen (1973) studied Jazz and Classical double bass at the conservatories of Utrecht and Amsterdam, The Netherlands. During his career Jasper has performed with the “crème de la crème” of the (inter)national jazz scene, a.o. : Enrico Pieranunzi (Italy), Bert van den Brink (NL), John Engels (NL), Ferdinand Povel (NL), Yuri Honing (NL), Rita Reys (NL), Eric Vloeimans (NL), Maria Markesini (Greece), Nancy Marano (USA), JD Walter (USA) and singer/songwriter Lori Lieberman (USA). With the Jasper Somsen Group he released the highly acclaimed album: "Dreams, Thoughts & Poetry" (The Music of Enrico Pieranunzi). In January 2013 they released their second CD “Sardegna”. He recorded with a.o. the Trio Bert Lochs and Willem Hellbreker/Frits Landesbergen’s Saxvibes. Since 2001 he fills the bass chair at the silent movie orchestras The Sprockets and Orchestra da Camera Oscura. He performed in a.o. Belgium, Germany, France, Spain, Switzerland, Hungary, Italy and Finland. "Bass player Jasper Somsen and drummer Andre Ceccarelli are contributing greatly and are making the trio of Enrico Peiranunzi one of the most interesting truio's of the moment." "No new roads are being traveled, but the teamwork sounds as natural as a good conversation."